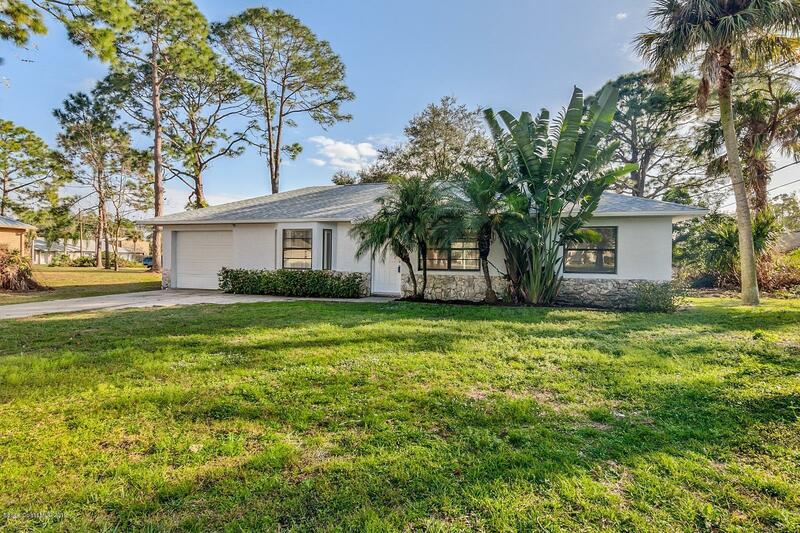 5695 Friendly Street, Cocoa, FL.| MLS# 836779 | Free Brevard County MLS Home Search. No Agent Needed. Daily Auto-Email Listings of All Brevard County Homes and Listings For Sale That Meets Your Home Buying Criteria. Brevard County Real Estate Market Information. Cozy 3/2/1 home on a big private lot and friendly street. New roof, 2018 with a 10 year warranty. New HVAC system inside and outside, September 2018. New paint inside and outside, 2019. Updated bathrooms with new tile, light fixtures, and vanities. Tiles in common living and dining areas. Plenty of left over tile in the garage. Separate laundry room with space for ironing and folding. Open back porch area with large concrete slab leading out to big back yard. New light fixtures in kitchen, hall, laundry and outside of house. Come see this great little home.